Freetimers can provide you with a quality hosting service, with email, website statistics and on-going monitoring. With our managed service, we do it all for you, DNS settings and adjustments, digital certificate installation, automatic multiple backups, email account setup and more, leaving you to concentrate on running your business. From shared hosting for small brochure sites to dedicated servers and server cluster management we can support your current requirements and help you manage growth. Having a well designed website is important, but it must also be able to be delivered to online visitors quickly and reliably. Our modern world seems to make us all be impatient, and if your site isn't available or fails to load quickly, potential customers will just leave and go to other sites instead. Making sure your site's availability is always at a very high level is a key part of owning a website, and keeping it that way, and maximising its security can be a real chore. We do our best to take that off your hands, so for most of our customers we provide a managed hosting service. 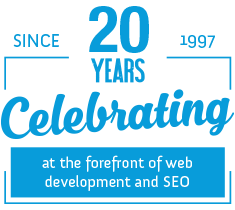 We have been hosting websites for clients for 20 years, so we know what is necessary and what works to give you a chance at peace of mind. Freetimers manages a large number of servers is several locations in the UK and North America, but we can also offer hosting services worldwide. In the UK we partner with three of the best NOC providers, with each geared to provide whatever is needed for a client's business. That way we can can provide high quality, resilient hosting solutions whether in a shared hosting, cloud hosting, virtual hosting, dedicated server and multi-server cluster situation to suit any business at whatever stage of development it finds itself. This means that if you are a start-up or growing business, we can start you out small, and provide on-going advice and assistance throughout your business' journey, migrating to ever more powerful solutions as they are needed and at affordable prices. We also look after you with active uptime, security and performance monitoring of your hosting account and server. All our hosting services come with email provision, a server statistics package so you can know with certainty what is happenning with your website, visitor rates, page views, etc., and a number of regular and daily backup routines, so if something does go wrong or the site is hacked, it can be recovered. Our backup processes go beyond what is offered by most hosting providers and other agencies, because we know that sometimes, more IS required than the minimum. Freetimers is a longstanding Nominet Registrar, as well as being tag holders with Tucows/OpenSRS, CentralNIC, and other domain providers. We can acquire domain names for you, advise on availability and costs, and then manage them and all the DNS settings on an ongoing basis. If you need an ecommerce site, require better security or just want to follow Google's preference that all websites should be operated only under the HTTPS secure protocol, we can help. We work with several digital certificate providers and can advise on the best options for you, as well as arrange for and then install the certificate for you. Website security has become a serious issue because of the huge growth in hacking over the last few years. We can arrange for scans of your website, provide reports of findings, advise on the appropriate actions to take, and then undertake the server or programming work to help you achieve compliance with current PCI or government standards.